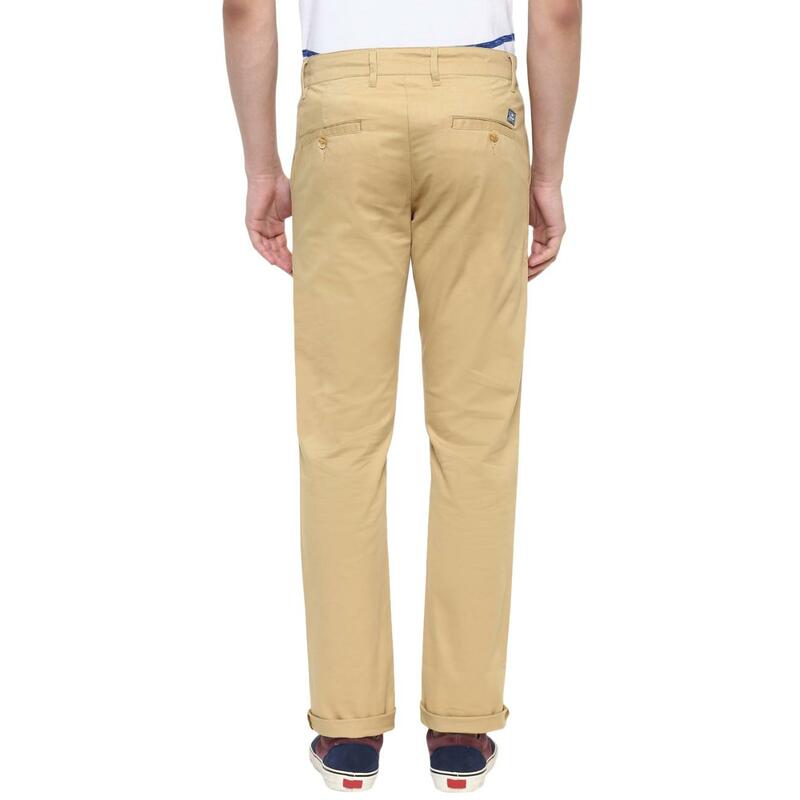 Featuring classic style and an all-over solid pattern, these light khaki coloured trousers from Red Chief are especially designed for modern men. 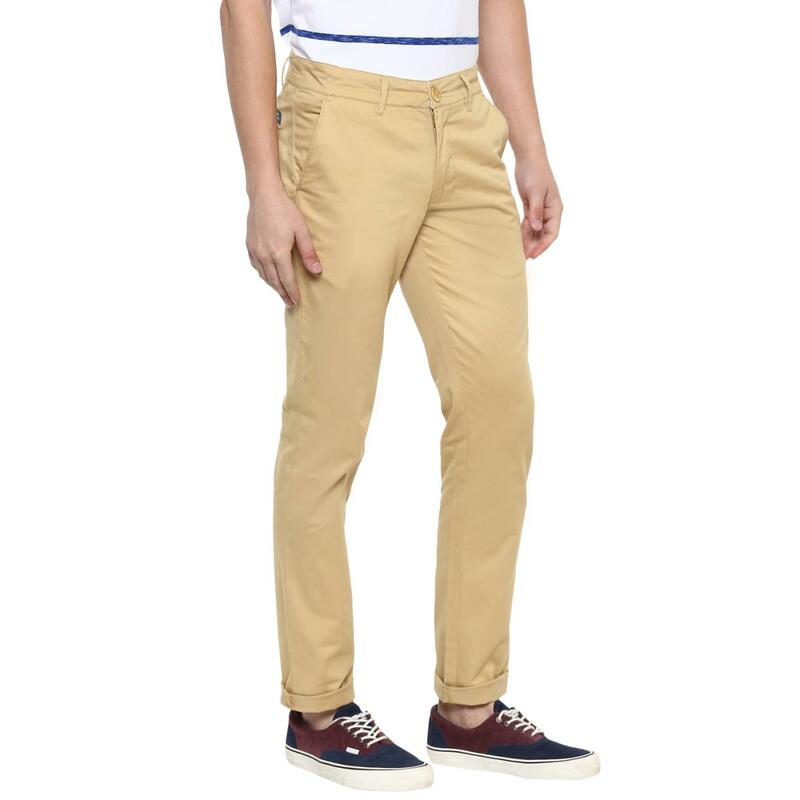 Designed with a button closure, these flat-front trousers come with a chor pocket on the front, inside the waistband adding on to the functionality. 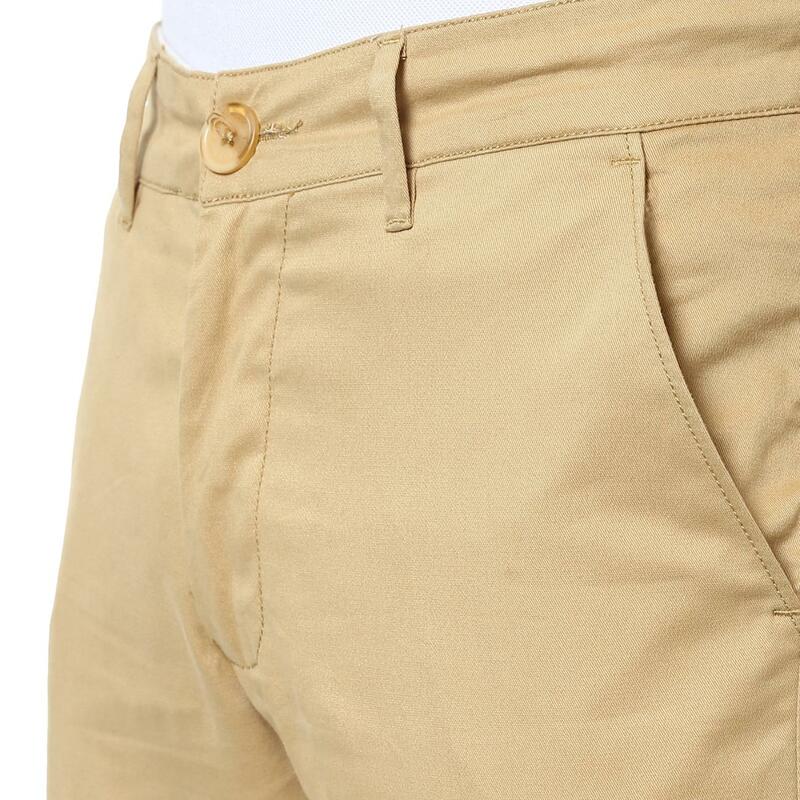 These trousers also have multiple pockets and branding at the back pocket. 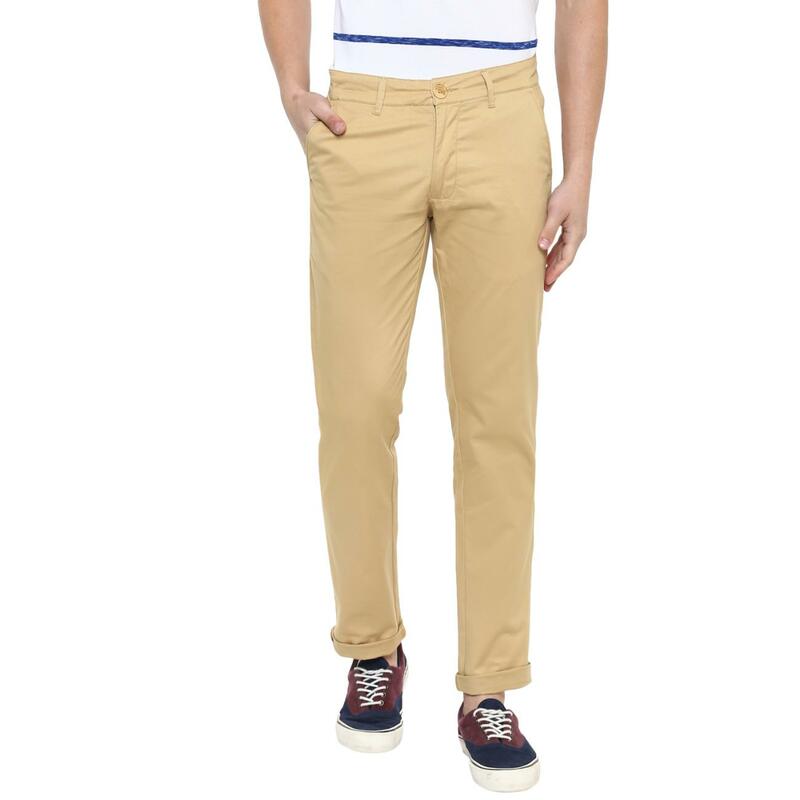 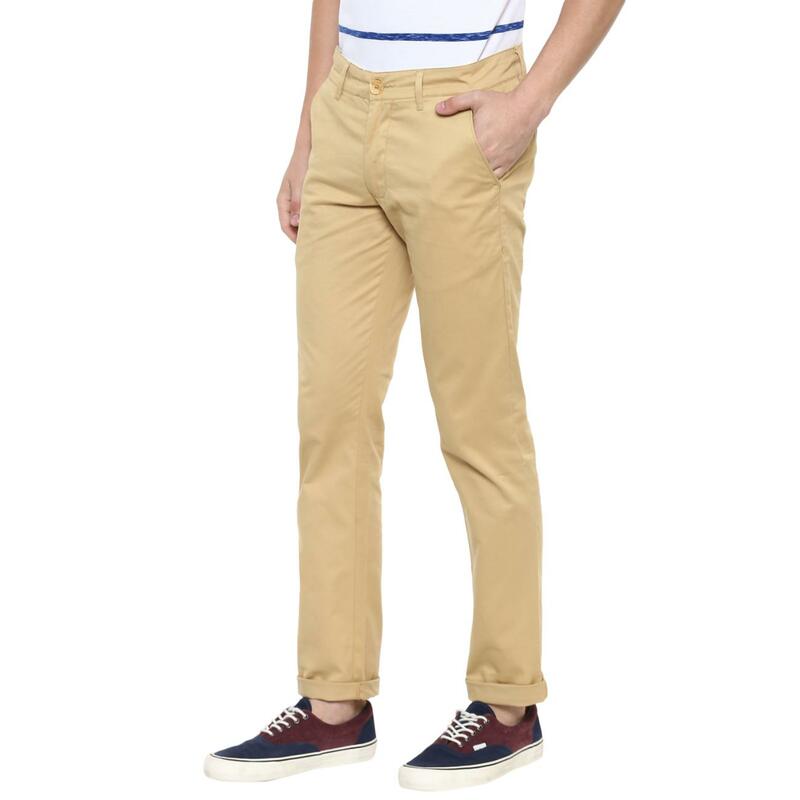 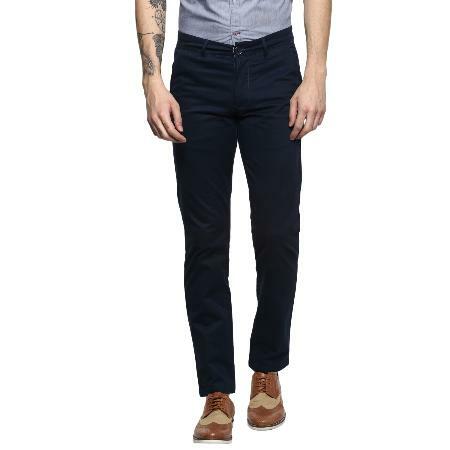 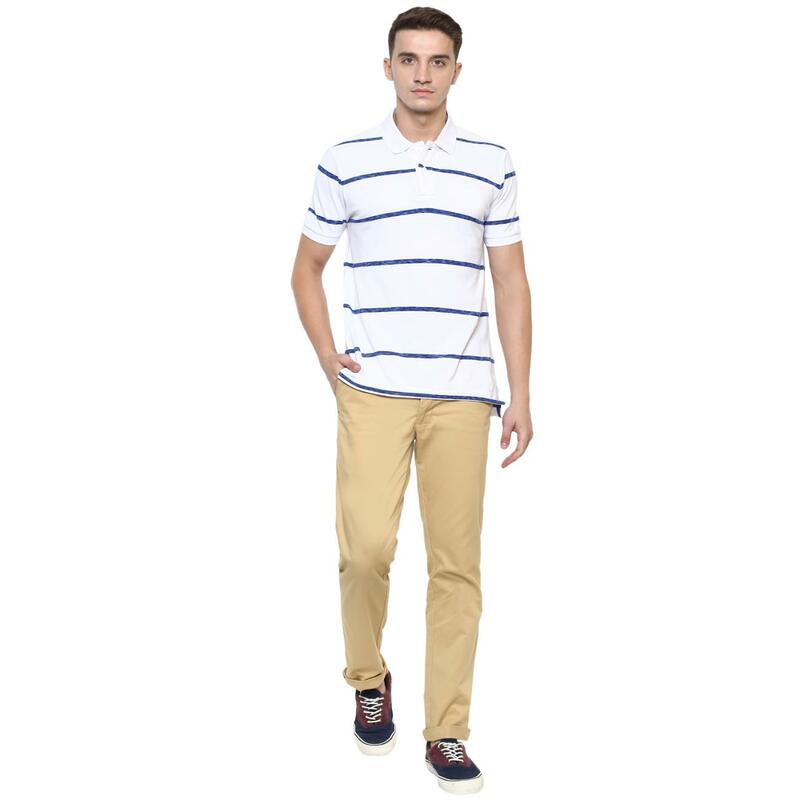 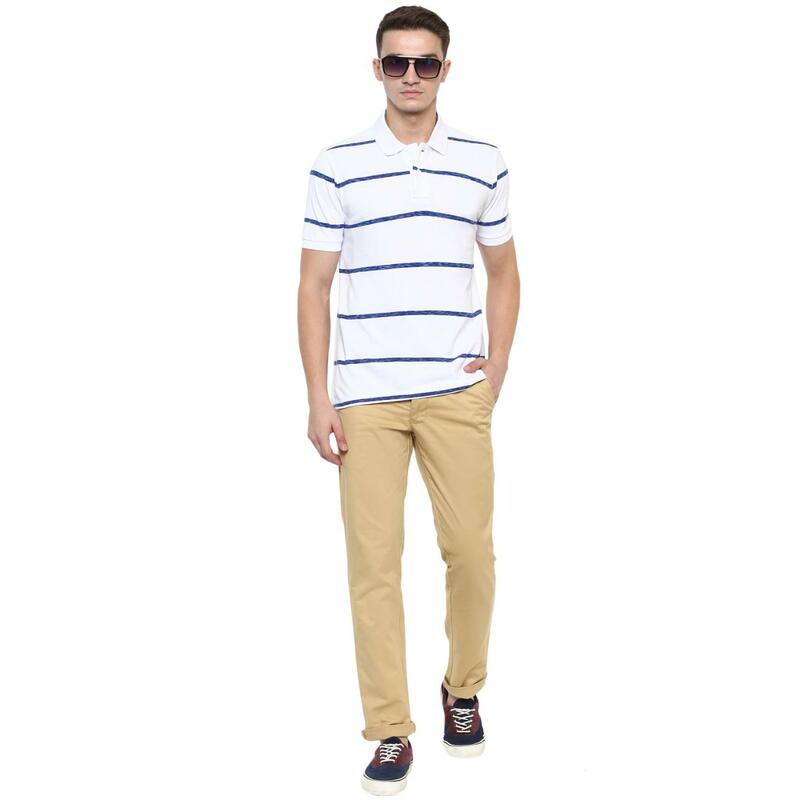 Simply pair these trousers with a blue shirt and a comfortable pair of shoes to look your best.